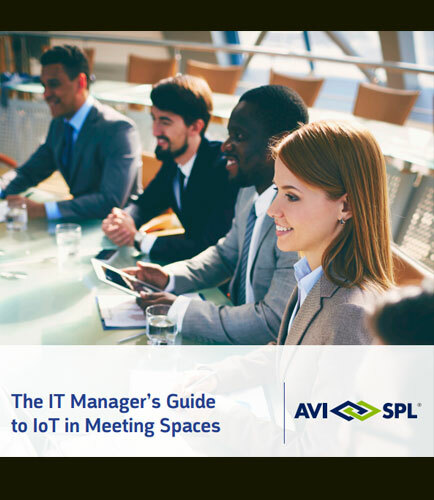 "The IT Manager's Guide to IoT in Meeting Spaces: Internet of Things"
In a meeting room context, IoT refers to the use of hardware and software to connect AV devices and room technologies so companies can remotely control, monitor, and manage room systems to meet their strategic business objectives. This whitepaper highlights the opportunities Internet of Things brings to meeting rooms and discusses deployment considerations managers should keep in mind when pursuing IoT solutions for meeting room systems. What Is IoT and How Will It Impact Meeting Room Technologies? Why Does IoT Matter to IT and Facilities?